The new Raising ‘Rents podcast series introduces itself. Raising ‘Rents is the show that will share everything you need to know in caring for your aging parents. Experts, adult kids, caregivers, and aging parents themselves share experiences about aging and how to care for aging adults. Zack Demopoulos is your host, and he will share clips of future episodes. Are you a “sandwicher”? There is a 50/50 chance that you are, which would mean that you are between the ages of 40 – 59, have a parent 65+, and have a child under 18 or are still support a child over 18. Over 9 Million Americans fit that description. Click here for more data. Aging adult shares how difficult it was living at home after his wife died and that caused him to move. 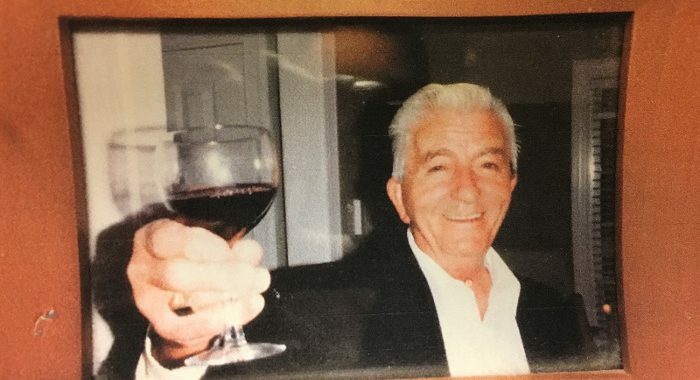 To my father, Demetrios (Jimako) G. Demopoulos (Nov. 15th 1927 – October 28th, 2011) who immigrated to Canada in 1955 and then to United States in 1972. He taught me a lot about being a great son and a father. He was an incredibly kind, unselfish, proud, and positive giver, husband, father and business man. Later in his life he also taught us how to be a better caregiver and the importance of raising your parents. After living a relatively healthy life, he had his first major health issue at age 78 — a stroke. Though he regained his speech rather quickly, he never walked again without assistance. He was as strong as an ox which allowed him to live at home under the care of my mother and my brother and his family who lived nearby. Depression, weakening muscles from not using them, and a little Greek stubbornness led to his demise five years later — a major fall after many “tumbles” broke his back and he spent the next six months between hospitals and sub-acute rehabs. He died peacefully just two days after my son Demetrios and I visited him in Charlotte for his name day (St. Demetrios Day October 26th). At his funeral, there were over 500 people paying their respects to my father. Of them, three generations of customers who loved eating at his restaurant, Zack’s Hamburgers, and loved him even more. Chris Krimitsos gave him the spark to start the podcast journey and he is a true “Messenger”. He is the executive producer of a podcast documentary coming out soon called “The Messengers: A Podcast Documentary”. His kids (“Roommates”) Demetri and wife Angelica who are great fans, Kosta who inspired Zack to listen to his first podcast, and special thanks to Anastasia for calling him a “Rent” and lending her voice for the opening. His wife Phyllis who has been his #1 fan and supporter and tolerates all his crazy ideas and projects; she likes this one though because she gets to be in it! Thank you to Anne Smith, mother of ComForCare staff member Cheryl Wilson for the voice over of the woman calling on phone.